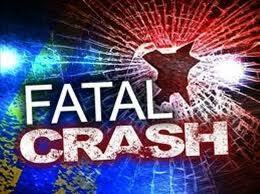 Fall River County Fatal Crash-I.D. OELRICHS, S.D. – A Hot Springs, S.D., woman has been identified as the person who died in a two-vehicle crash Sunday afternoon east of Oelrichs. Helen Iverson, the 72-year-old female driver of the Chrysler, was pronounced dead at the scene. She was not wearing a seatbelt. Both occupants of the pickup were injured. The driver, 69-year-old Richard Fritzler, suffered minor injuries and the female passenger, 72-year-old Barbara Fritzler, sustained life-threatening injuries. The two occupants, who are from Alliance, NE, were transported by ambulance to the Fall River Hospital in Hot Springs. Barbara Fritzler was later sent to Rapid City Regional Hospital. The two occupants were wearing seatbelts.